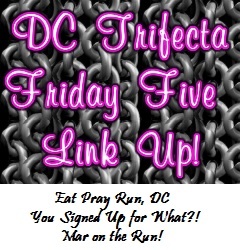 Friday Five – March 28th – So Much to Celebrate! 1. 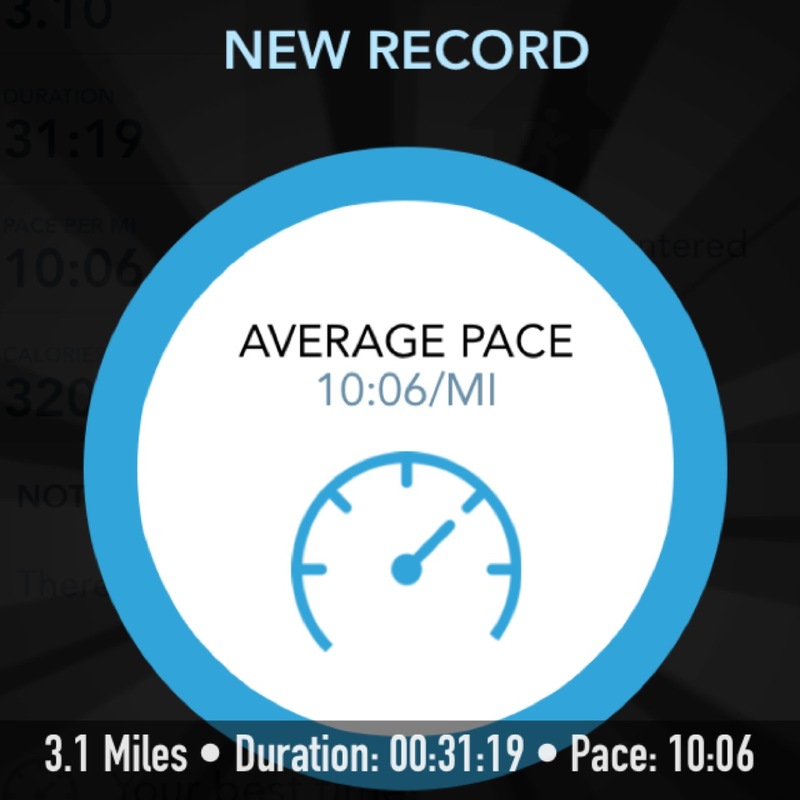 I set a new 5k PR on Monday! This was definitely an incredible way to start the week off! 2. Although it snowed on Tuesday spring is hopefully here to stay! 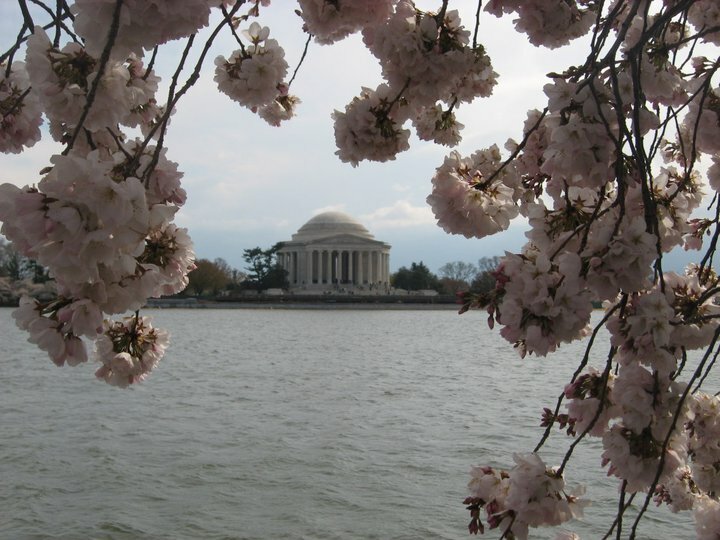 One of my favorite views of the Cherry Blossoms has always been how they beautifully frame the Jefferson Memorial! I can’t wait to enjoy more Cherry Blossom views like this one when the blossoms bloom next month. 3. Tomorrow marks my one year blogiversary! Although I don’t usually post on the weekends I have a special post in the works to mark the occasion tomorrow. 4. 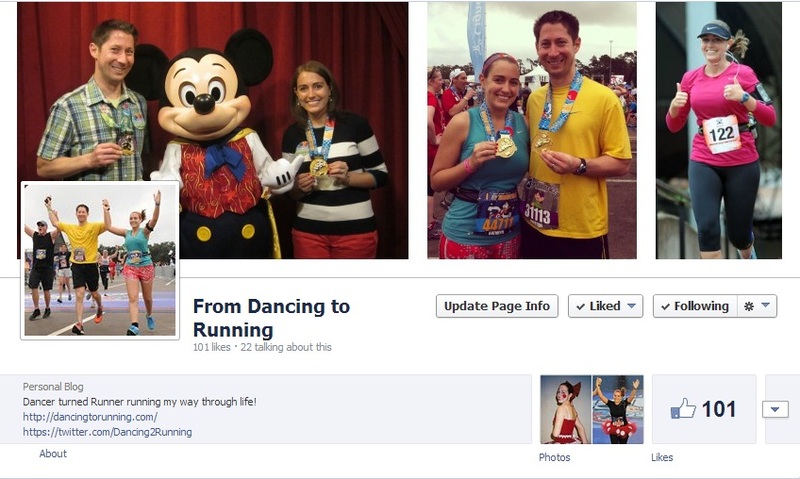 From Dancing to Running reached a milestone yesterday – over 100 people like my blog Facebook page! I’ll talk more about the power and influence of social media in the blogging and running community tomorrow, but for now I’ll just share how truly amazing blogging and social media is in bringing complete strangers in the running community together to support and encourage one another. 5. My birthday is on Sunday. The birthday celebrations kick off tonight, when one of my closest friends will be in town to celebrate. We’ve known each other since we were babies (our moms were college roommates and our moms are each of our godmothers). We’re so close that she refers to us as godsisters, and refers to Preston as her godbrother-in-law. Then the birthday fun continues throughout the weekend with more fun with more friends. QOTD: What accomplishments or events are you celebrating this week? 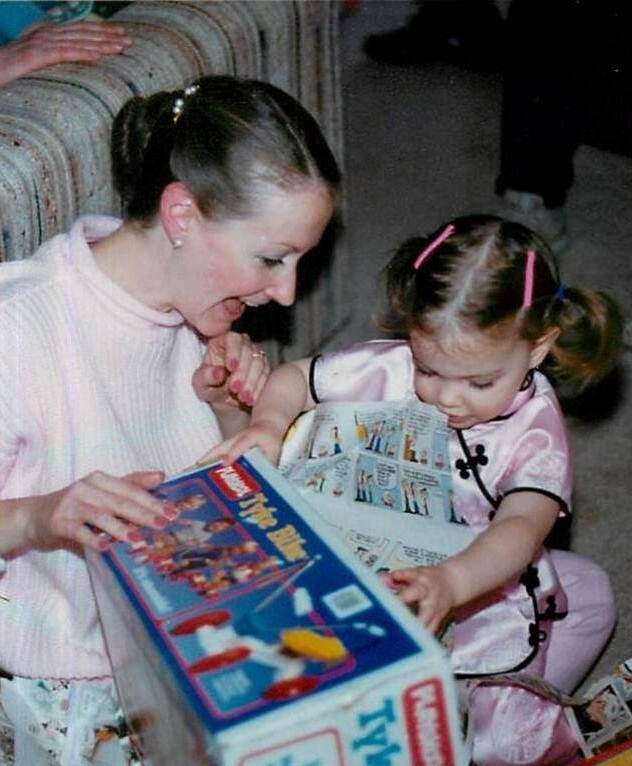 This entry was posted in Milestones, Miscellaneous and tagged birthday, blog, blogiversary, Facebook, Friday Five, personal record, social media. Bookmark the permalink. 35 Responses to Friday Five – March 28th – So Much to Celebrate! Wow so many reasons to celebrate!! Have a wonderful birthday weekend!! Wow what an amazing week for you! Hope you have a blast celebrating your birthday!!! Thanks Lacey! The murder mystery weekends sounds like it’ll be a lot of fun! Hey girl congrats on all the exciting news! I’ll wish you a happy early blogiversary now. Please forgive us if we don’t get to read your anniversary post tomorrow. We are going out of town and hope to be “unplugged” if you know what I mean! Also, happy birthday. Wow, you look like your mom. I bet you get that a lot don’t you? Have a great weekend sweetie! Thanks Meranda! And no need to apologize, we all need to unplug every now and then. Most people usually say I look more like my dad and that my sisters look more like my mom. There’s pictures of both of my parents on my Marathon Weekend recaps if you want to see me with both of them for comparison. Thanks Kimberley! And you’re welcome. If you have any other questions please feel free to ask! Wow! You have a lot to celebrate this week! 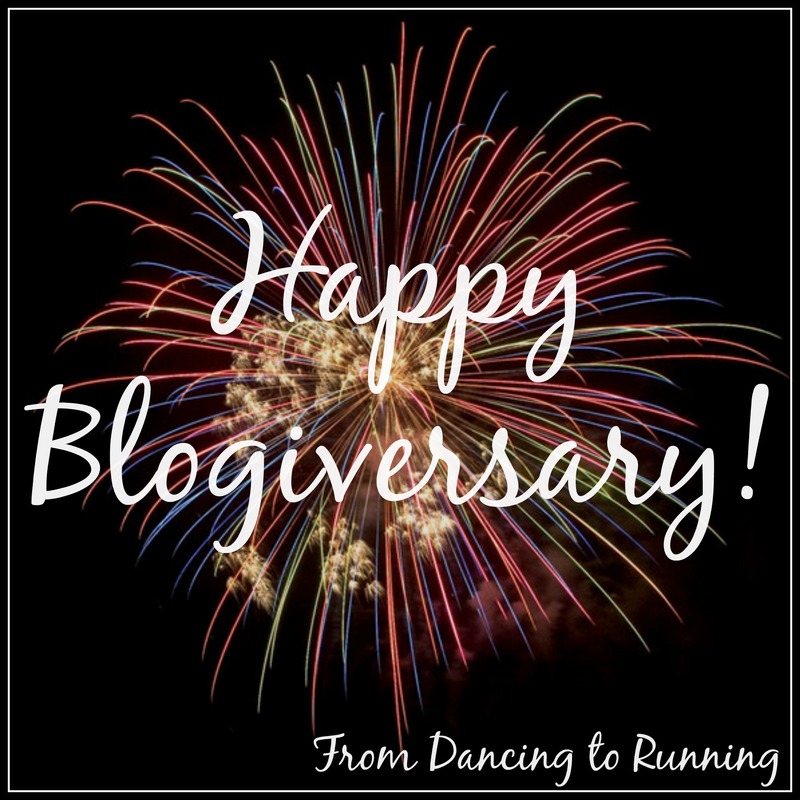 Happy birthday, blogiversary, 100 fans, Springtime, and PR! Have a great weekend celebrating your blogiversary and your birthday. what a great week and a PR too! I did not realize I had not “liked” your FB page but that has been corrected! Thanks Michelle! And I love the cherry blossoms as well. They’re one of my favorite things about living in the DC area. My accomplishment of the week just came today…finally approved by Institutional Review Board for my dissertation research to proceed. Scared and excited. This means I will likely have to quit my job. Way to go and congrats on being approved! Wow, great job girl, on your new PR!!! You’re so awesome and I love your blog so much!!! Welp – I almost worked out 5 days this week. My son got sick the night before so I couldn’t make the early-morning boot camp but from here on out – I am THERE front and center ready for more punishment. Happy early birthday and congratulations on your new 5K PR! That is great time. Oh no, I hope he’s feeling better! Much better now. Thanks for mentioning. Sounds like a great week, congrats on the PR! Hope you have a great birthday and blogiversary!! Yay! Happy birthday!!! Looks like so many reasons for you to celebrate.